Good atmosphere, nice beers and plenty to choose from. Spent the evening with some friends for which this is a great venue. Brilliant pub, great atmosphere, really good selection of beers and the cheese boards are awesome! They have a fair bit of live music at weekends and always good bands. They have Motherchip now which is chips with various toppings, goes down really well after a few ales. Where’s Wally posters above the urinals are an inspired idea, good talking point and passes the time when nature calls! We pre booked a table for 6 and a cheese board, well it was a fantastic afternoon. Great beers (as always) friendly helpful staff and a cheese board that not only served us, but we passed it on to other customers! Music was just right for the type of thing we wanted. All in all it is a great pub, with first class ales (bubbles for the girls) with a brilliant friendly atmosphere, so get yourself and your friends there! This is such a fantastic pub! Camra pub of the year.. such a buzz when you walk in, all the locals know this is the place to be. We were on tour and playing a gig up the road and were told this is the place to come. Fab food, loaded chips with delicious topping (pulled pork, chilli and more). Crisp delicious chips topped with the aforementioned toppings. As to the beers, easily the best we’ve visited on our English tour (a kiwi and an Aussie). Would happily bring friends here just to drink!! Norwich, Norfolk based Public House providing the best possible Cask Beer, Ale, Keg Beer, Apple Cider, Perry and wine the world has to offer! Home to the award winning Fat Cat Brewery. 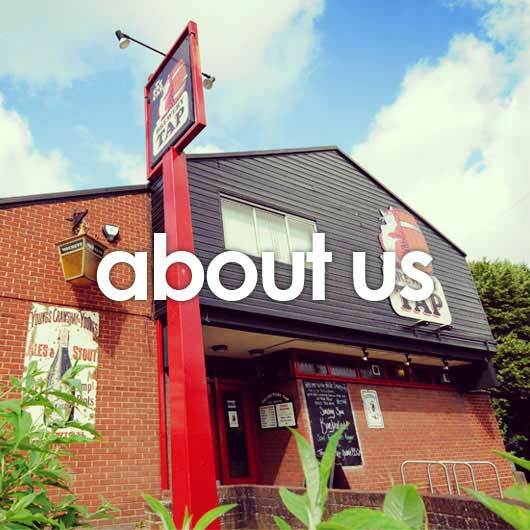 Live music, Food and an outstanding choice in beers.